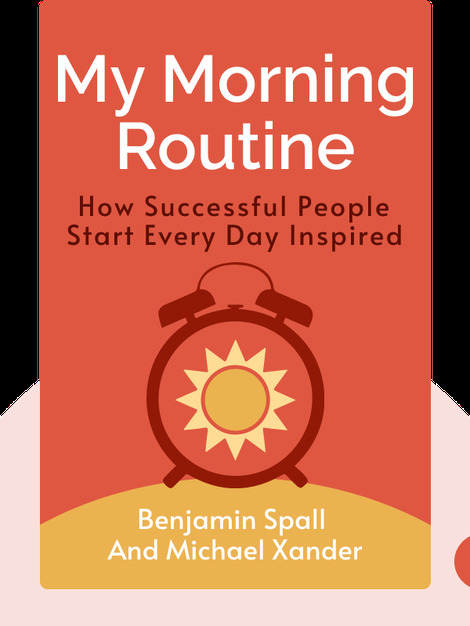 Based on the authors’ interviews with 64 of today’s most successful people, My Morning Routine (2018) is a practical guide for would-be early birds. Yes, it’s easy to live in fear of your alarm clock and worship at the altar of your phone’s slumber function, but it doesn’t have to be this way. Mornings don’t need to be traumatic at all. What’s more, finding the right routine for the early hours will change your whole day for the better. Benjamin Spall is a US-based writer who’s contributed to a wide range of publications, including the Huffington Post. Michael Xander is a trained engineer and product designer, who currently works and lives in Berlin, Germany. 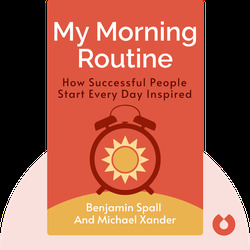 The duo are the minds behind My Morning Routine, an independent online magazine showcasing inspiring morning routines from around the world.